let’s is look at this madness from an impartial vantage point, shall we? When he passed away on June 25, 2009, Michael Jackson left behind three minor children. The court appointed his mother Katherine as their guardian. On kidnapping: There are rumors going around about me that I have been kidnapped and held against my will. My children would never do a thing like that. It's very stupid for people to think that. On her disappearance: I needed rest and they wanted to take me away for a short vacation and rest up. On why she didn’t call her grandchildren for 10 days: I gave up my phone and I didn't want to have any phone calls. On returning home: After I finish this, I will be on my way home. By “the children’s family allowance” Perry Sanders means that the monies that are meant to be spent on Paris, Prince and Blanket are being spent on “the family” as in Katherine’s dead-beat children & their families. her cubs. That philosophy has always been understood in our family. On her disappearance: She was tricked into leaving California. She thought she was leaving to see her sons’ Unity Concert in New Mexico but when she got off the plane, she found herself in Arizona. Katherine Jackson HAD TO lie in her sworn declaration if she wanted a shot at getting her guardianship reinstated. A guardian voluntarily not checking on the children she is legally obligated to guard would have been grounds for the denial of her reinstatement. Delegating the house staff and TJ to look after the kids in her absence wouldn’t have helped her because they are not the legal guardians. 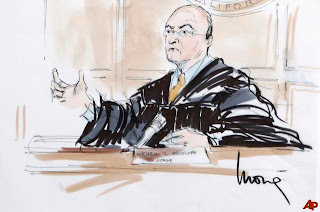 Judge Mitchell Beckloff—the same incompetent judge that admitted a forged Will as Michael Jackson’s valid and now effective Will—bought into Katherine’s lies and reinstated her guardianship. Katherine's alleged declaration that was attached to her guardianship filing seems as if it is a declaration by her lawyers: Perry Sanders & Sandra Rivera. Let’s compare the alleged Katherine Jackson declaration to the statements made by her lawyers in her absence. “I was never informed that Prince, Paris and Blanket were trying to reach me. The parallel flow in the account of events and the mention of insignificant details (RV, the doctor etc) in both Katherine’s declaration and the statements made by her attorneys in her absence shows that Katherine’s declaration is in fact her attorneys’ declaration. Especially in light of the fact that the declaration is contradictory to Katherine's video statement. Note that Arizona police visited Katherine and spoke to her in regards to the missing persons report. Contrary to her attorney-turned-PR agent Perry Sander’s claims, she was very much aware of the chaos surrounding her disappearance. It shows how cold and heartless she is that even police involvement didn’t move Katherine to alleviate her grandchildren’s outcries. How is Katherine talking to Michael’s children interferes with her rest? 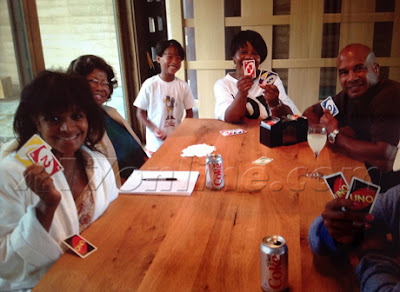 Why didn’t the same health concerns that prevented her from talking to Michael’s children prevent her from talking to Jermaine, Janet, Rebbie and Rebbie’s children? If not out of checking on them you’d think Katherine would call Michael’s children because she misses them. Katherine Jackson is as much a culprit in this mess as her money-chasing children. When things didn’t turn out as planned, she now feigns innocence. In 2009, Katherine indeed objected to the validity of the alleged Michael Jackson Will. She made it clear that she would pursue legal action to contest the alleged Will filed by John Branca. Then she was discouraged because of the non-contest clause in the Will. As per the clause, if she contested the Will in court but lost her case, she would lose all her benefits. But the judge made an exception for Katherine. He ruled that Katherine CAN contest the Will and if she lost her case, she would NOT lose her benefit. Despite of this golden opportunity, to her children’s and husband’s dismay, Katherine decided NOT to contest the Will. Whilst the reasons for her decision isn’t clear to anyone but her, one can only surmise that John Branca paying off the mortgage of her Encino home (she was facing foreclosure), paying off her Segye Times debt (which had been dragging for decades), handing out “loans” to her with no question could be her incentives. In the last 3 years, Katherine Jackson's relationship with the Executors of her son’s Estate has been rather complicated. She appears to want to be in the good graces of the executors considering they hold the purse strings but she constantly rocks the boat when doing the bidding of her business partners and her children. Katherine seemed to go whichever direction she is pulled at a given moment. She praises the Estate Executors, endorses the Estate business deals and participates in events, sitting next to John Branca. But she continuously engages in partnership with business people who illegally exploits the Estate’s property—Michael Jackson name and likeness. Katherine has publically supported people that the Estate is litigating and at times, she has bashed the Executors to do so. For whom does Perry Sanders work for? 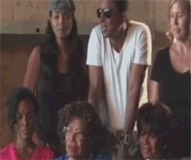 The Jackson siblings accused Perry Sanders of being a John Branca cohort. Are they justified in their concern about Perry Sanders? Immediately after Trent filed a missing persons report for Katherine Jackson, Perry Sanders started feeding the media—sometimes his identity was revealed, sometimes he remained as a “source”. In the following image, you will see that Radar Online journalist Jen Heger slipped. In one article, she wrote that Sanders exclusively confirmed to Radar. But in the article itself, he is merely a “source”. Perry Sander’s media statements were anti-Jacksons and pro-Estate. He obviously didn’t support the siblings’ letter which demanded the Executors to resign and accused him of being a John Branca cohort. Mr. Sanders stated that the Will was valid, the siblings had no legal standing to contest the Will and the Executors are doing a great job. 2- Contrary to the claim in the Jackson siblings letter, Perry Sanders IS acting in his client’s interest. He was hired to repair and maintain a good relationship between Katherine and the Estate Executors. Even when his client makes mistakes to disrupt the harmony in this relationship, it is Perry Sander’s job to fix it on his client’s behalf. What is puzzling is that the Jackson siblings act as if it is a bad thing that Katherine engages in business with her son’s Estate. Shouldn't she & the Jackson Family work with the Estate that upholds Michael’s legacy? It is not like the Estate is working Katherine from 9 to 5. She generously gets compensated for endorsing or making an appearance to an Estate event. How is this any different than when Katherine is asked to endorse and make appearances to a Jackson event? Katherine (thus, the Jacksons thru her) and Michael’s children benefit from the income into the Estate. Why do the Jackson siblings have problem with the Estate generating money whilst they have no objection whatsoever when they spend the Estate’s money? It IS about the Money! At this point, noone but Katherine knows what truly happened in her 10 day absence. But because she is extremely protective of her children and also because of the Jackson Family code of silence, we will never know the truth. What we do know is that all the parties involved in this feud—be it the MJ Estate Executors & those in Katherine’s camp doing their bidding or be it the Jackson siblings—everyone is motivated by either gaining control of Michael’s money or maintaining the control of Michael’s money. Don’t you, for one second, believe that this is about the welfare of Michael’s children—as you will often hear them profess. If they cared about Michael’s children, why contest a Will that leaves everything to the children? Because the Will excludes the siblings. And if they can invalidate John Branca for fraud, his executorship for 2002 Will as well as his executership for the 1997 Will will be invalidated. Which means, Michael will be declared intestate (died without a Will), which means Katherine loses all her benefits and everything goes to the children but because the children are minors, the Jacksons would petition to become the Executors of Michael’s Estate. Why did the Jacksons wait 3 years to contest the Will? When Michael died, his Estate was $500 million in debt. There was no money. Say what you will about John Branca but he is THE BEST in his field. He inherited an Estate in debt and turned it into a gold pot. It is no coincidence that the Jacksons asked the Executors to resign only A WEEK AFTER it is reported in the media that the Executors not only paid the $500 million debt but made a whopping $500 million profit. That is 1 BILLION DOLLAR INCOME in 3 years —unprecedented. This is cookie jar the Jackson siblings can’t reach into and ya’ know….they looove cookies. Michael Jackson’s Estate is akin to a multinational company. Now there is money in the Estate which why the Jackson siblings are raising hell now—and not when the Estate was in debt. Michael Jackson children didn’t just inherit their father’s money. They also inherited his lifetime role as the Jackson Family cashcow. Both the Jackson Family, including Katherine, and the Estate Executors and their respective agents are playing power games and spewing lies with no regard to the trauma they are causing Michael’s children. The only victims of this mess are Paris, Prince and Blanket Jackson. Despite of their empty words, no one cares about the wellbeing of the children. They are merely pawns, used by both the Family & the Estate plants in Katherine's home.